ECDC PRELIMINARY SCIENTIFIC ADVICE Expert Opinion on Neuraminidase Inhibitors for prevention and treatment of influenza. A consultation with European and international public health experts was convened to review data presented in newly conducted systematic reviews and meta-analyses regarding influenza antivirals, in order to develop an ECDC Expert Opinion. In line with ECDC’s commitment to openness and transparency, and in order to receive comments from the scientific community and stakeholders, ECDC is launching a public consultation on the ‘Expert Opinion on neuraminidase inhibitors for prevention and treatment of influenza – review of recent systematic reviews and meta-analyses’. 5 of the acknowledged (2 in the expert group, both presenters and one ECDC representative) are past or present members of ESWI. 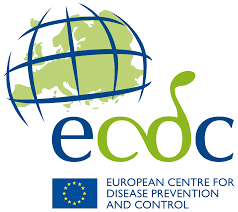 This report of the European Centre for Disease Prevention and Control (ECDC) was coordinated by Pasi Penttinen and Kari Johansen. Contributing authors: Emmanuel Robesyn, Eeva Broberg, Piotr Kramarz. Expert group: Barbara Michiels (University of Antwerp); Kari S. Lankinen (Finnish Medicines Agency); Regine Lehnert (German Federal Agency for Drugs and Medical Devices); Darina O’Flanagan (Health Protection Surveillance Centre Ireland); Anders Tegnell (Public Health Agency of Sweden); Johan Giesecke (KarolinskaInstitutet); Peter Horby (University of Oxford); John Watson (UK Department of Health); Angela Campbell (U.S.Centers for Disease Control and Prevention); Frederick Hayden (University of Virginia School of Medicine); Filip Josephson (Medical Products Agency of Sweden). Observers: Manuela Mura (European Medicines Agency); Nikki Shindo (WHO); Caroline Brown (WHO Regional Office for Europe). ECDC representatives: Mike Catchpole; Piotr Kramarz; Pasi Penttinen; Angus Nicoll; Kari Johansen; Emmanuel Robesyn; Eeva Broberg; René Snacken; Cornelia Adlhoch; Brenna Deckert; Luciana Muresan.